The Kagyu Lineage is one of the four main traditions of Tibetan Buddhism. It is a complete form of Buddhism including all three levels of the Buddha's teaching:Hinayana, Mahayana and Vajrayana. Its speciality lies in the profound meditation techniques of mahamudra and special tantric practicescalled the "six yogas of Naropa" that are used to speed up realisation of the true nature of mind. These profound teachings were gathered by an illustrious line of Indian patriarchs, including the great 11th century master Tilopa, who was the one responsible for integrating the mahamudra teachings with the tantric practices. After having attained full enlightenment, Tilopa became a great and inspired teacher. Among his disciples was a learned university professor called Naropa. After spending many years with Tilopa and undergoing a very arduous training, Naropa also became fully enlightened. At the time this happened, Buddhism had already spread far beyond India to many lands, including to Tibet. A gifted and determined Tibetan named Marpa Lotsawa wanted to obtain further instruction from Indian masters known to have received pure and direct transmission of the Buddha's teachings. So, during the 11th century, he made the long and perilous journey from Tibet to India three times over the course of his life. Receiving teachings from several enlightened masters, among them Naropa, Marpa then returned to Tibet, bringing the precious teachings with him. Once home, he translated them into Tibetan, practiced and taught them to others, and through this process laid the foundations of the Kagyu Lineage. Marpa, now called 'Marpa the Translator' because of his great work in translating the Buddha's teachings into Tibetan, gave the entire body of teachings to his chief disciple, the famous Tibetan yogi and poet, Milarepa. Milarepa in turn passed them on to the yogi, Rechungpa, and the monk, Gampopa. It was Gampopa who, during the 12th century,founded the first monastery that laid down the monastic tradition of the Kagyu Lineage. He then passed the teachings on to the first Karmapa, Dusum Chenpa. 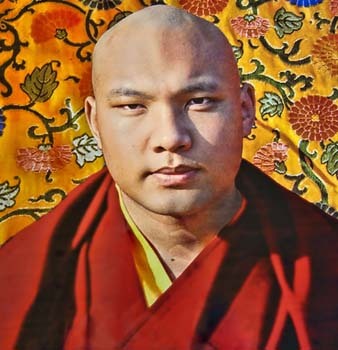 Since that time, the teachings have passed in an unbroken line through successive incarnations of the Karmapa, and now continue with the present incarnation, His Holiness, the 17th Gyalwa Karmapa, Ugyen Drodul Trinley Dorje. It is through this continuous transmission from realised master to gifted disciple that the teachings of the Kagyu Lineage have remained pure and undiluted to this day, and because of this tradition of orally transmitted teachings and emphasis on meditation practice, the Kagyu Lineage is also known as the 'Practice Lineage'. In 1959, the seeds of Tibetan Buddhism spread all around the world as many teachers, masters and practitioners fled as refugees in the wake of the Chinese invasion of Tibet. The Kagyu Lineage established centres in many countries, including Kagyu Samye Ling, the first major centre of Tibetan Buddhism in Europe.